As we traveled by road and crossed over from Paris, France to Switzerland, we could see a lot of greenery mountain from the highway as we passed the border of Switzerland. To me, the greenery mountain in the clear blue sky is really magnificent as I hadn't seen it so beautiful, other than seeing the similar beautiful nature from fairy tale story books. 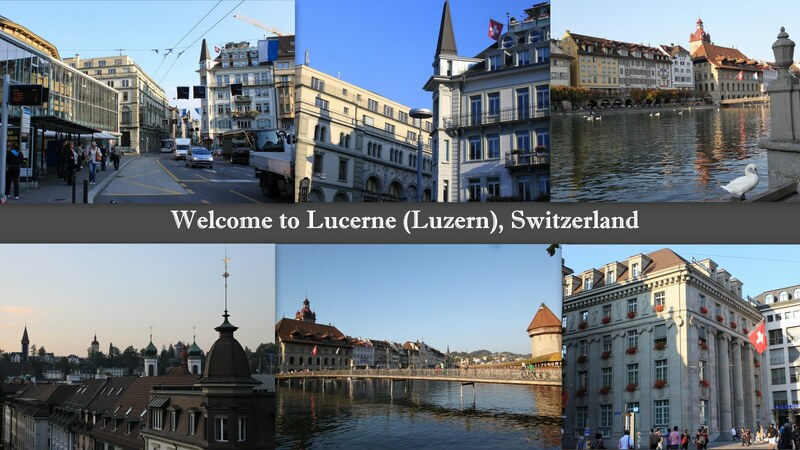 We stopped over at Lucerne (Luzern in German). 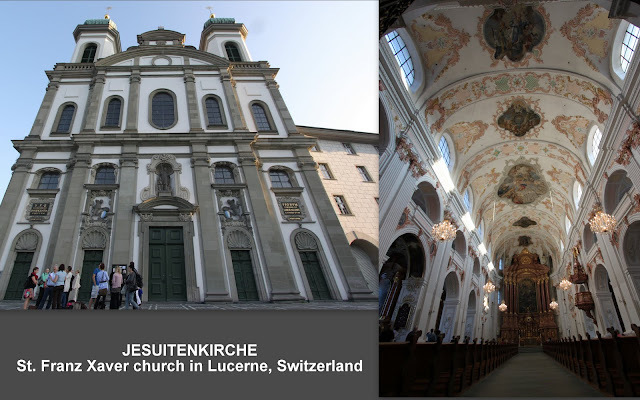 Lucerne is a beautiful small city in the heartland of Switzerland, which is located on the shore of Lake Lucerne and surrounded by Mount Pilatus and Mount Rigi in the Swiss Alps. Although Lucerne is a small city but it is famous for its tourism industry. The locals and retailers are very friendly and are able to converse in simple English speaking. Switzerland doesn't accept Euro currency thus, you need to prepare some Swiss currency, which is also known as Swiss Franc (CHF). Switzerland is well-known for its branded products such as Swiss Army knife, Swatch watch and, Victorinox Swiss Army watch. Do take this opportunity to purchase these Swiss products while traveling in Switzerland. The retail pricing could still be the same even after the currency rate conversion. However, you might find some unique designs or unique models which you couldn't find them in your home country. Switzerland is well-known for manufacturing and assembling the internal electronic watch components for major brands in the world. Other international branded watches are also available in big retail outlets in Switzerland. When you spend more than 300CHF in a single receipt in Switzerland, you can get 8% VAT refund. It's highly recommended to shop at big retail outlets if you intend to purchase more than 300CHF in Switzerland. These big retail outlets will ensure and minimise your problem with the process of VAT refund, by providing necessary documents and receipts as long as you provide your detailed particulars, passport and air ticket documents before purchasing the products in Switzerland. Switzerland requires travelers to submit the purchasing receipts and relevant documents, which have been purchased in Switzerland at the custom office in the airport, before leaving Switzerland. Normally, the queue at the custom office in an airport in Switzerland isn't as crowded as those custom offices in the busy airports in France, Italy and the UK. However, when you travel to Italy, France and Austria (for example), you can compile all the receipts and the relevant documents from these countries, which accept Euro currency, before submitting them to the custom office at an airport before leaving Europe. Unfortunately, you need to arrive at the airport as early as possible (about 5-6 hours) before departure in order to submit the documents at the custom office in the busiest airport like, in France, Italy and the UK. Kapellbrücke (Chapel Bridge) one of Europe’s oldest wooden bridges and landmark of Lucerne, faithfully restored to its original design after a serious fire along the famous Lake Lucerne. It's safe to walk around and look at the expensive products on the window display at the outlets in Lucerne town at night, even though all the shops are closed after 5pm. It is very interesting post. Switzerland is indeed a very beautiful place where you will find a lot of interesting things. It’s Ski and switch watches are well known around the world. 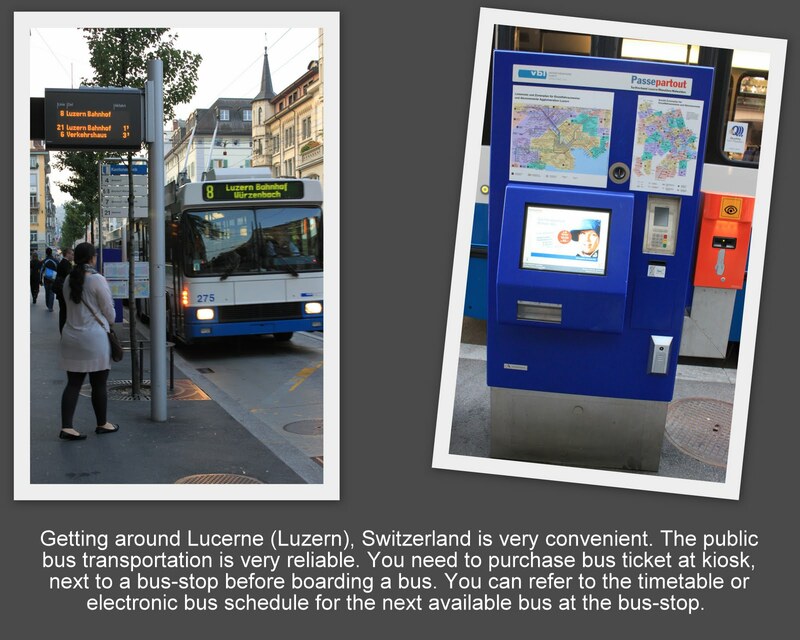 For more travel tip visit here 10 reasons to visit switzerland.